I like all things Savage, and I have a special place in my heart for rimfire rifles. I bought a Savage MKII FV a while ago, and liked it a lot. 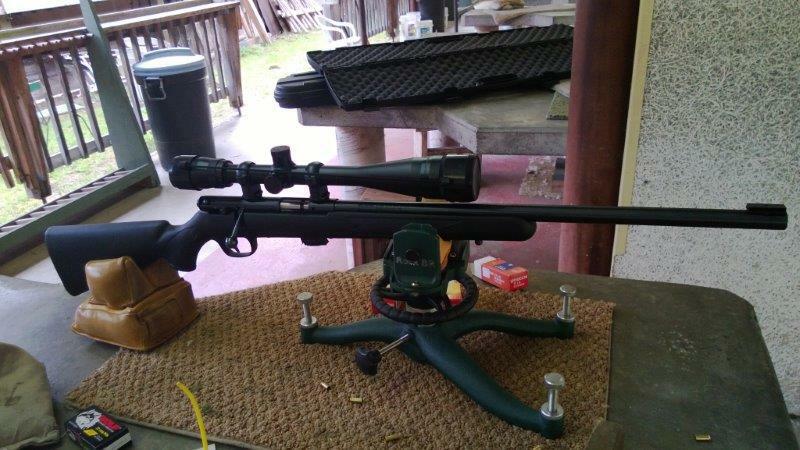 With a bipod and a Bushnell Banner 6-24x44 scope it made a package that was compact, reasonably accurate, and a lot of fun to shoot. Among Savage lineup there is a rifle styled for competition, Mark II FV-T. This is the rifle CMP sells to shooting clubs (at a price level that is, unfortunately, unavailable not only to consumers, but even to firearms dealers). As of this writing, this is the only rifle with quality peep sights that is made by a large US firearms manufacturer (the rifle itself is actually made in Canada), and the only one under $1000. 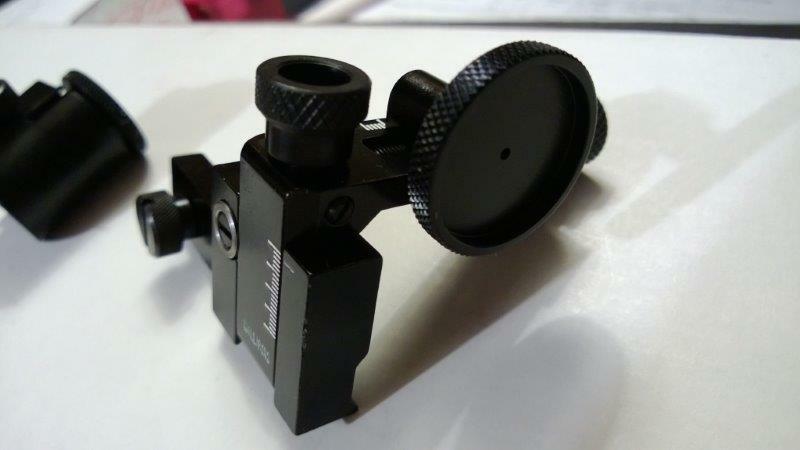 If you want a new rimfire rifle with peep sights, the only other alternative is Anschutz - at 4 times the price, at least. Other than sights, the rifle itself looked suspiciously similar to Mark II FV. In fact, the receiver, bolts, the trigger group, and for the most part, the barrels (ignoring superficial features such as fluting and material) on almost all Savage bolt action rimfire rifles are basically the same as Mark II FV. The only models where these parts are different are Mark II F and F-SR, which have light barrels, and FV-SR which has an oversized bolt handle, integrated Picatinny rail, and a shorter 16" barrel. The difference between all other Savage Mark II models is the stock and the material (carbon or stainless steel). We have it in stock for $370. At $455 MSRP and the street price of around $400 (we sell it for $370), Mark II FV-T is substantially more expensive than Mark II FV (which can be had on the Internet for around $200, plus shipping and transfer). The obvious reason is the peep sights. These alone, not include mounting, would cost at least $150. 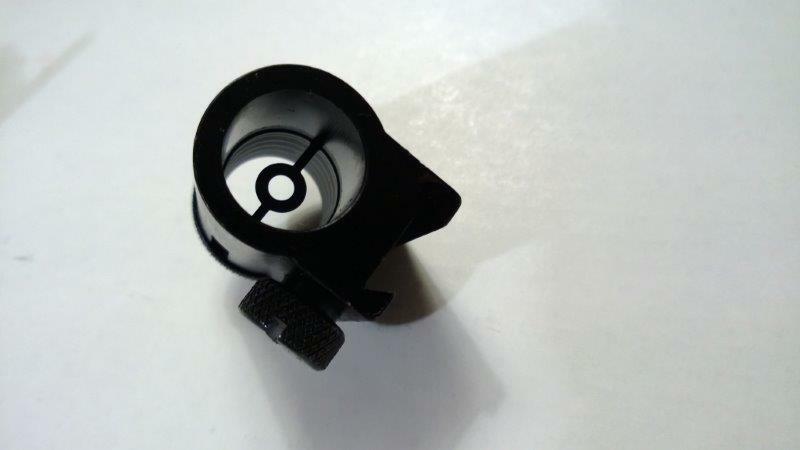 And of course while drilling and tapping the receiver for the rear sight is not that difficult, mounting the front sight is quite another matter. FV-T has a block for it, FV does not. But I also wondered if they have any sort of selecting process at the factory that would designate more accurate rifles for the "T" model. 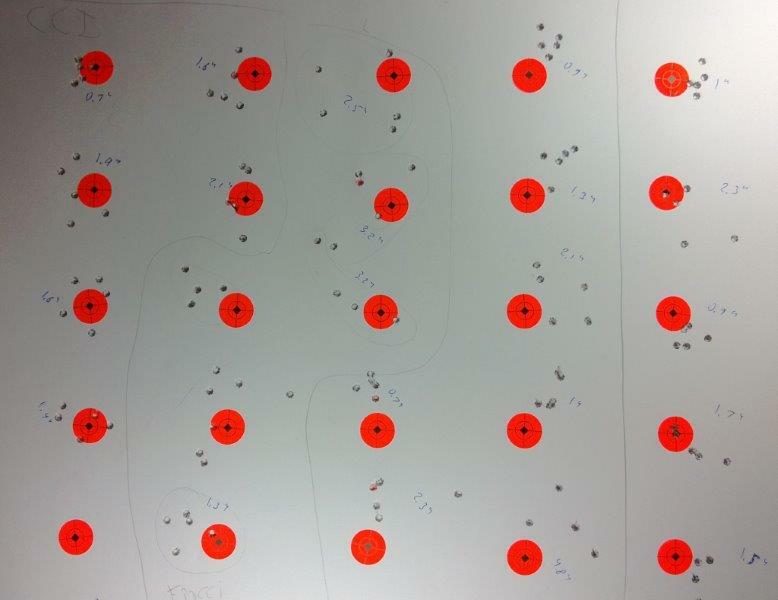 So I bought one for myself, tested it out with a bunch of rimfire ammunition types. For this purpose I equipped the rifle with the same Bushnell Banner 6-24 scope I used on MKII FV. 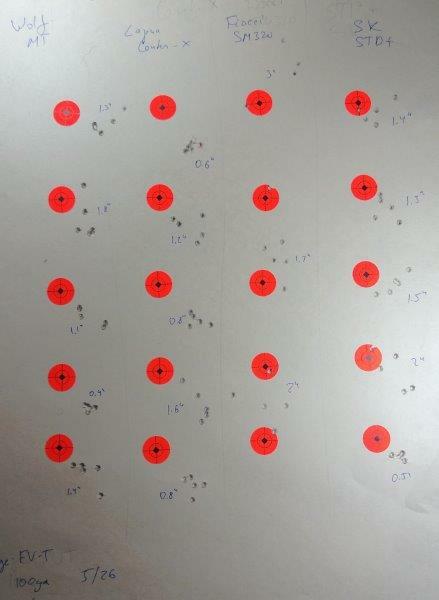 The shooting was from 100 yards, on two separate days and on two different firing ranges. Every group has 5 shots in it. 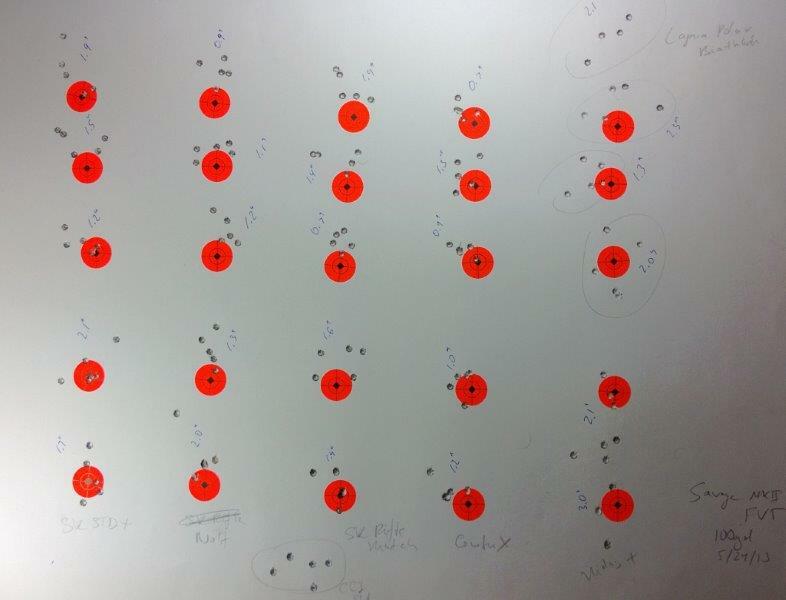 Some ammunition types, in particular, Fiocchi and Lapua Midas+ produced really bad results, shooting above 2" groups, so I did not bother to tally them out. The rest of the results are summarized below. Please note that if the first group was very different from subsequent ones, I have eliminated it from the tally. Each brand of 22LR ammunition comes with a different lubricant, and it usually takes several shots to clear the remnants of the old one and replace it with the new. As you can see, the rifle shot marginally better than MKII FV. I say "marginally" because the results differ by less than 2 standard deviations, and thus the difference is not statistically significant. I have a hunch that the difference between Lapua Center-X in FV and FV-T would become statistically significant after more testing. 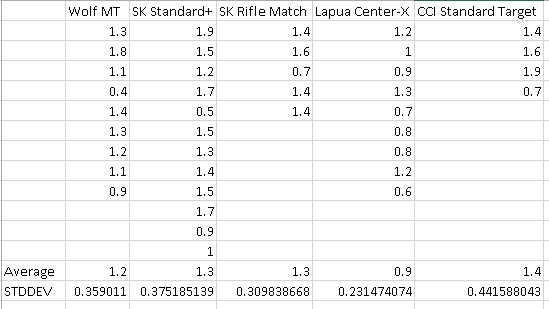 Wolf and CCI, on the other hand, produced essentially identical results in both rifles. CZ 452 rifles in stock! 100 yards is at the very edge of 22lr accuracy range, so we should expect roughly caliber-sized groups at 25 yards with suitable ammunition. Most shooters will not be limited by accuracy of this rifle in any real shooting position, other than - maybe - shooting from the bench. The only real deficiency of this rifle, when it comes for club-level competitive shooting, is its stock. It is just too small for a comfortable hold. While a compact stock was a plus for Mark II FV - it made rifle compact and easy to just have around - it is just not adequate for position shooting. I am looking for a suitable replacement, and will post the results as soon as I find one. In conclusion, if you are looking for an inexpensive rifle with peep sights, this is a reasonable - and unfortunately, the only - option. Boyd's has SS Evolution stock that fits Mark II rifle family. I bought one to try it on. As the stock does not accommodate the peep sights, I mounted it on Mark II FV instead. To use it on FVT, you will need to do a bit of work with the rotary tool, and then refinish the exposed wood. 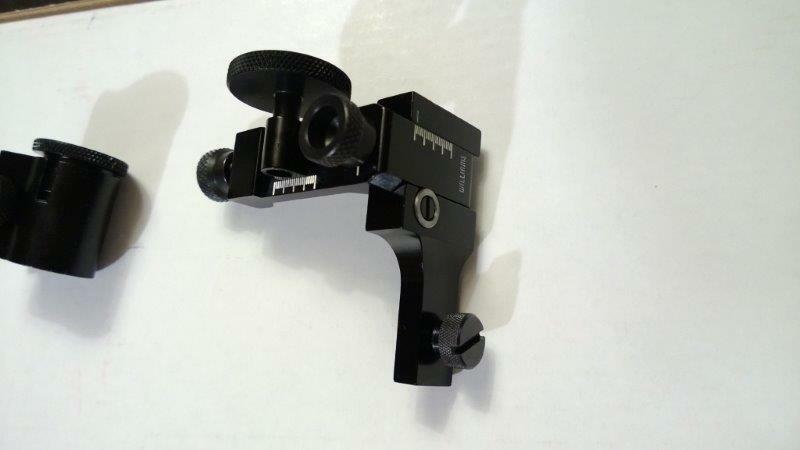 On FV it looks really cool, and if you are finding factory stock too small for a comfortable hold, you might like this stock.